Every year since 1991, a massive feat of engineering (or should that be ginger-neering) has taken place in the heart of Bergen, as the world’s largest gingerbread town rises from the ground. This year is no different. For the 27th time, local kids and volunteers will be united in the spirit of Christmas, constructing this tasty treat of a town made from hand-baked houses, trees, ships and cars. A lot of the sweet material is delivered from kindergartens and schools in the area, and everyone who takes part is granted free access to the final display (and so are all kids aged 12 and under). This is a mmm-magical wonderland like no other. Pepperkakebyen, as it’s called in Norwegian, is traditionally set in a historic building in the city centre, but this year might be the last one at this iconic location at Teatergaten 37, as the building is about to be refurbished. 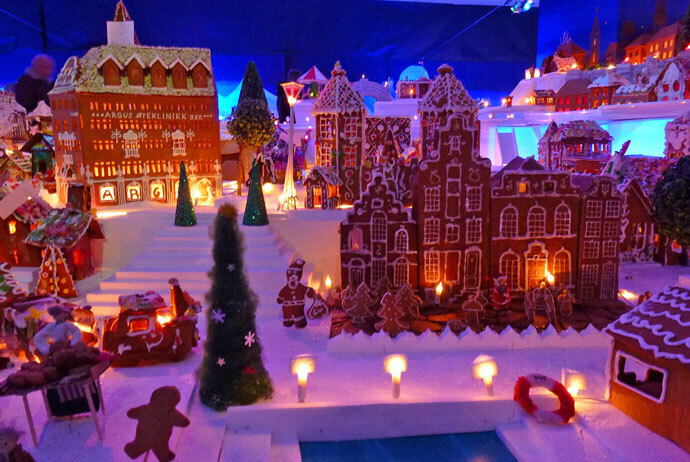 Several other cities around Norway are making their own gingerbread towns this year, but this one in Bergen is the best of them all. As icing on the cake, a selection of gingerbread will be for sale too, so you can get your own bite of Bergen! NB: the gingerbread town will be closed on December 25th.